INTRODUCTORY SPECIAL 2018 RATE WITH FREE RESORT ACCESS to both the Mauna Kea Beach Hotel and The Westin Hapuna Beach Resort! This lovely home offers endless special features and upgrades within it’s prime location. 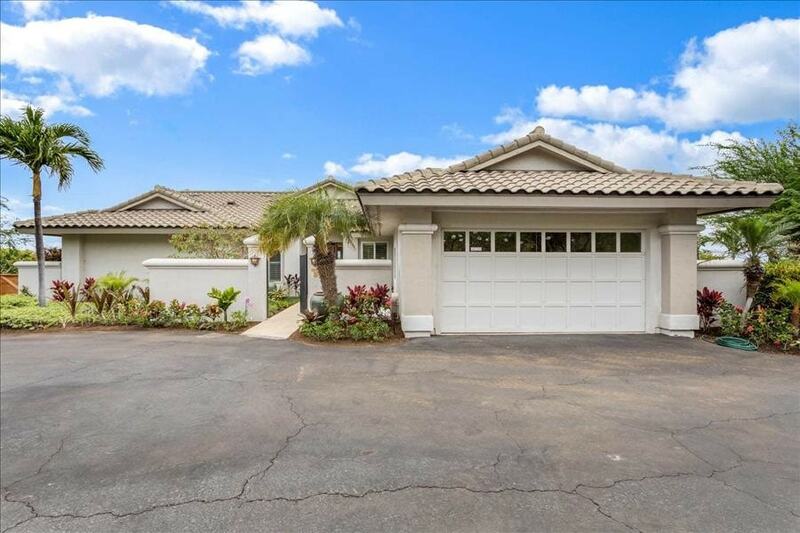 Sitting on a large corner lot, perched above the Mauna Kea Resort, this well furnished home has wonderful privacy with views from Kona Coast and Kawaihae Harbor to year round sunsets over the Pacific. It’s location on the South Kohala Gold Coast make it a sought after and popular destination spot. The private entry courtyard offers lush landscape and steps into the home onto travertine stone floors. Custom cabinetry throughout the home along with several mango wood furniture pieces, warm this interior to perfection. The gourmet kitchen offers dishwashers, double door refrigerator and a professional gas cooktop. The bonus den area sits beside the kitchen. The master suite offers fabulous views with access to the tropical landscaped yard and the extraordinary pool and spa. The outdoor shower, soaking tub and vanity off of the master bathroom are the essence of luxury Hawaiian style living. This 3 bedroom, 2.5 bath home has a king bed in the master bedroom, a queen bed in the guest bedroom and 2 twin beds in the 3rd bedroom. The lifestyle within the Mauna Kea Resort is like no other, with Residential Services at your becon call, top knotch amenities including the best beaches on the island, world famous golf courses and an award winning tennis facility. As a guest of Mauna Kea Resort, you can use of Mauna Kea & Hapuna golf course, including two magnificent beaches, nine tennis courts at Mauna Kea, beach and swimming pool, as well as charging privileges at many of the hotel’s restaurants, lounges and shops. Listed Special Rates plus $400 Departure Cleaning Fee plus tax.